In November 2017 LINK, the membership body which sets the funding formula for ATMs announced plans for a cut in the interchange rate fee by 20%. That might not mean much to most people, but this announcement raised significant concerns among consumer representation bodies, small businesses and ATM operators. The interchange rate fee is how we get cash for free out of cash machines. It is a small fee charged to your card issuer every time a card is used to withdraw cash. Before the proposed cut, that fee was 25p per withdrawal, with LINK’s initial proposals seeking to cut this to 20p. This doesn’t sound like a lot, and in reality it isn’t, free to use cash machines require a small but sustained amount to remain financially viable however, if a machine closes or needs to be replaced it can cost up to £10,000 to do so. 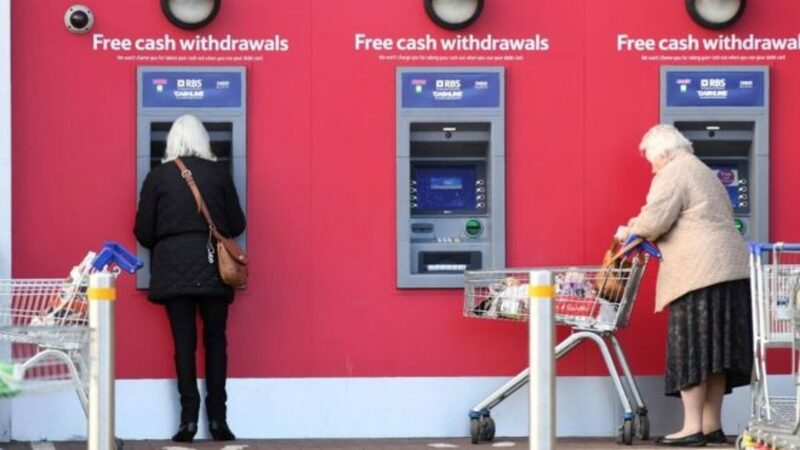 Therefore this 20% cut in funding sparked a huge reaction from the ATM provider industry, the industry body warning thousands of machines would close, and millions of pounds were wiped off the market values of ATM providers. To calm fears LINK offered financial reassurances, providing funding support for ATMs which were more than a kilometre away from the next nearest free to use machine. They assured us that they had all the money they needed to protect the spread of ATMs and that there would not be a decline in free to use ATMs in the areas they are most needed. The ‘Financial Inclusion Programme’ that LINK deployed to protect free to use ATMs was not targeted and relied on a poorly communicated referral programme for ATMs that could go under, as well as poor transparency on funding decisions. Since LINK’s announcement, an average of 250 free to use ATMs have closed every month, with figures provided by Which? UK showing that these closures have been higher in rural areas and with machines designated by LINK as ‘protected’ under the Financial Inclusion Programme also closing. As a result, the regulator, the PSR, placed an order on LINK to give further reassurances that it could protect the spread of ATMs. Yet it seems LINK’s new solution to this is to simply try the same approach through new ‘super premiums’ which can provide funding of up to £2.75 for machines that meet the criteria. LINK had already assured me that there was no limit to the amount of money they could allocate to machines that needed protection, so the announcement of new ‘super premiums’ is nothing more than a meaningless repackaging of their original intentions to throw money at the problem without a targeted or intelligent solution. This is not new thinking and shows that LINK isn’t taking the challenges that confront the payment sector seriously. What we need is new thinking and a new sustainable funding scheme to protect access to cash where it is needed. We operate now in a more mixed payments market; however, cash remains a vital part of that mix and will continue to do be so well into the future even with the increased ease of card payments and rise of contactless. To ensure those who pay with cash and those businesses and trades that rely on access to it aren’t put out in the cold, we must look at a new way of providing free access to cash that can adapt to the new more mixed market and ensure that consumers and communities are not left behind.